In this year of 2018, Mahashivratri will be celebrated on 13th February, which is a Tuesday and a bank holiday. So if you are inclined to take a small vacation and lucky enough to get away from work on that Monday, you could easily enjoy a 4 day trip to a place of your choice. And if you are an ardent Shiva devotee, what could be better than visiting one of the cities that celebrate Mahashivratri with great devotion, enthusiasm and gusto. On this day of the festival, devout Hindus pray fervently to Lord Shiva, in the hope of being absolved of their sins. Fasts are observed all through the day and night, offerings of milk, sweets, fruits and leaves are made and people pray and chant the popular mantra of ‘Om Namah Shivay’. Devotees also cosume ‘thandai’, a drink made with ‘bhaang’ [cannabis], milk and almonds as Lord Shiva was known to enjoy cannabis. Priests perform pujas across the various Shiv temples in the country throughout the day and venerate the Shivalingam with milk, ghee, yoghurt, honey and water, to the accompaniment of the ringing temple bells. However, these rituals are observed with much more zest and enjoyment in the specific temples dedicated to Lord Shiva across India. And so we bring you a small list of such places to pray and enjoy with your family and friends. 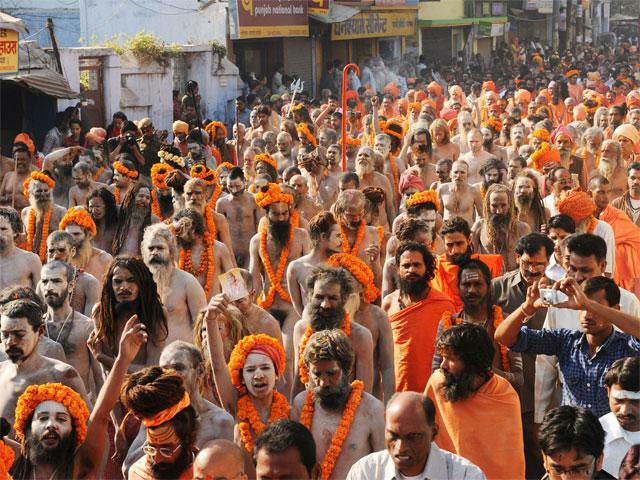 Haridwar, also known as the Land of Yogis, is frequented by lakhs of devotees during Mahashivratri. The streets and river banks of this city swarm with people and men in saffron robes. Famous for it’s temples and ghats, the devout take a dip in the holy Ganga at Har Ki Pauri which is known to wash away their sins. 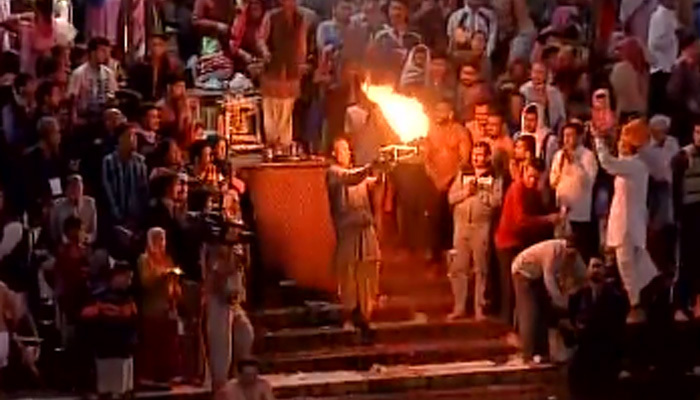 This is followed by prayers and the famous aarti. People also find spots to practise yoga. Many tourists also make their way to the Neelkanth Mahadev Temple, which is just 32 km from Rishikesh. By air: There are no direct flights into Haridwar. The nearest airport is in Dehradun, which is connected to several major cities. One can travel by bus or taxi from here to Haridwar. By train: This city is well connected by train to several other cities across India. Mahashivratri celebrations in Mandi are big! Festival rituals are held in the well known Bhoothnath Temple of Mandi and the festivities held here are on the largest scale in the country. A very popular annual international Shivratri fair, started by the Royal Family of Mandi five centuries ago, is held for seven days during this time, starting from the Mahashivratri day. This fair is not just restricted to the locals anymore but welcomes enthusiastic Shiv devotees and tourists from across the globe. By air: The nearest airport to Mandi is Bhuntar Airport at Kullu. By Train: There are regular train services to Summer Hill in Shimla, 71 kms away, as compared to Mandi. By Bus: Regular buses are available from several cities across the country. Varanasi is considered the spiritual capital of India and has one of the most revered and prominent Shiva temples, the Kashi Vishwanath temple, in the country. It’s thus obvious that the celebrations during Mahashivratri would be conducted on a grand scale with much grandeur and gaiety. The city caters to the religious needs of more than a million people from all corners of the country. The Tilbhandeshawar temple, dedicated to Mahadev, sees a lot of people offering prayers to Lord Shiva and many of them observe a fast. This city is one of those rare places in India where people dance in gay abandon after drinking bhaang (a mixture of cannabis and milk with dry fruits). By air: Varanasi Airport has flights coming in from some major cities of India, including Mumbai and Delhi. By train: The Varanasi Railway Station is well connected to other cities in India. By bus: State run buses offer services from major cities of Uttar Pradesh and neighbouring states, while Private buses ply from other nearby cities too. The major festival of Khajuraho is Mahashivratri, where it is believed that on this auspicious night, Lord Shiva married Parvati, the daughter of the Himalayas. The chief priest’s son carries out the ceremonial puja throughout the night, at the Kandariya Mahadeo temple where certain rituals are performed on the 2.5 metre high Lingam accompanied by chanting till the very end. The highlight of these celebrations is the 7 day Khajuraho dance festival, where the best classical dancers of the country perform in the festival. Devotees also take a holy dip in Sagar Tank on this occasion. The Matangeshwar temple is thronged by the devout followers of Lord Shiva and this occasion is also characterised by a 10 day long fair. By air: This city has its own domestic airport which has flights coming in from various cities. One can hire a cab from there to take you to your hotel. By train: Khajuraho Railway Station has trains coming in from very few towns, which include Delhi. But another close railway station is at the Mahoba junction, 75 kms away from the city. One can hire a taxi from here to drive you to Khajuraho. By bus: Many private and state-owned buses offer regular services from neighbouring cities into Khajuraho. 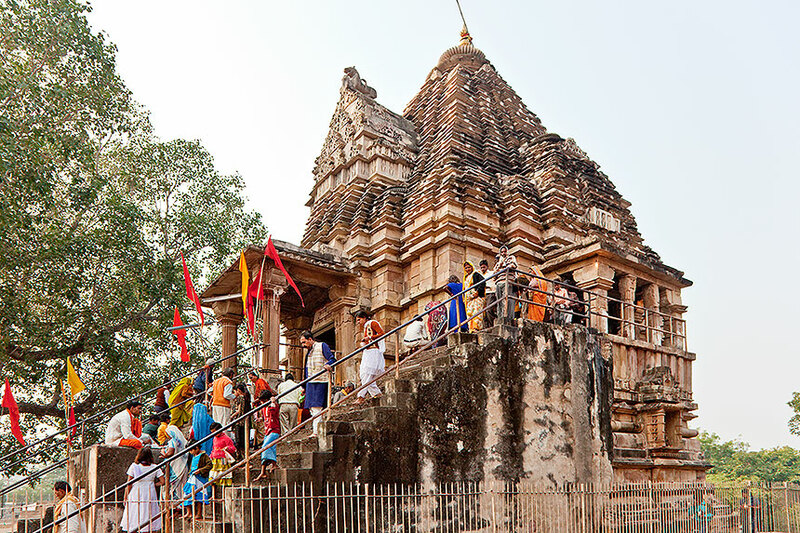 The Mahakaleshwar temple, along the banks of the river Kshipra, in the Mahakal forest, is where the Mahashivratri festivities and rituals are observed on a grand scale in Ujjain. 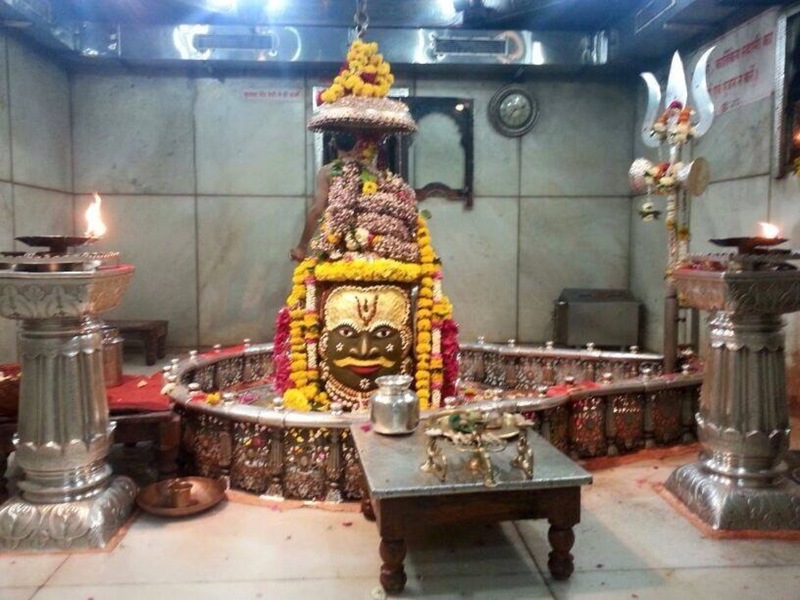 This temple, which is one of the 12 jyotirlingas is an important Shaivaite pilgrimage centre in North India and is frequented by hordes of people during this period. Similar to Khajuraho, the locals organise a fair here too, which exhibits all kinds of products, handicrafts and artwork. By air: The nearest airport to Ujjain which has regular flights coming in from several cities is Indore Airport, located at a distance of approx. 55 km. By train: Ujjain has trains coming into it’s railway stations from several major cities of India. By bus: There is a good network of bus services between Ujjain and other cities of India. Andhraites celebrate the festival of Mahashivratri with great dedication and fervour. 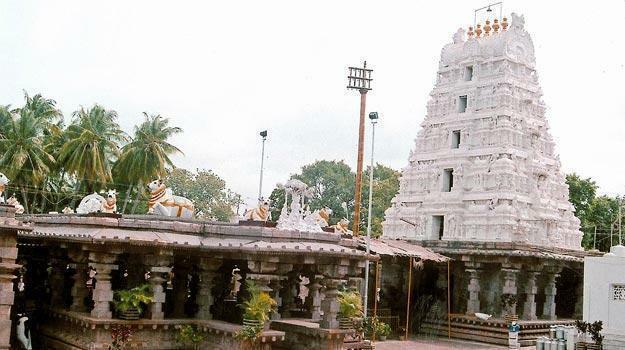 The Bharamarambha Mallikarjuna Temple of Srisailam is another of the 12 jyotirlingas and welcomes a humongous crowd of locals as well as tourists from all over the country to celebrate Mahashivratri in its abode. Devotees believe that Lord Shiva married Parvati on this day and also performed the tandava, urging them to observe the prescribed fast and chant mantras in honour of Lord Shiva. By air: The nearest airport is the Rajiv Gandhi International Airport at Hyderabad, which is 156 km away. By train: The nearest railhead is at Cumbum which is 60 km away. There is no railway station in Srisailam. By bus: There are good bus services to Srisailam from several cities of the country. By air: The nearest airport is at Bhubaneshwar, 60 kms away. By train: Puri has a good railway network with other cities. By bus: There are bus services to other close-by cities as well as Kolkata and Visakhapatnam. The festival of Mahashivratri in Junagadh, is celebrated on a slightly different note than the other temples around the country, though not in any way on a smaller scale. 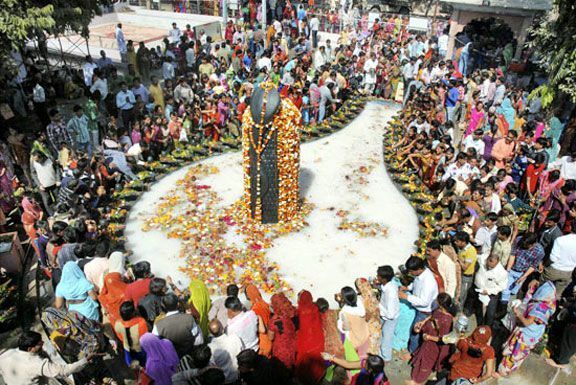 A 5 day fair, called the Bhavnath Fair is organised at the Bhavnath Mahadev temple during this time. Accomplished religious musicians from around the country perform for crowds of people from all walks of life and food is provided to the devotees. The main feature of the fair is the procession of ‘Naga Bawa’s’, where more than a 100 practically naked holy men and women – sadhus and sadhvis join this parade on elephants blowing conches and holding flags in their hand. The march ends with a holy bath by the sadhus in the Mrigi Kund in the compound of Bhavnath temple and a maha puja of the Mahadev, at midnight on Mahashivratri. By air: The nearest airport to Junagadh is the Porbandar Airport, 86 km away. By train: Regular trains are available to Junagadh from several other cities of the country. By bus: Buses are easily available from various cities to Junagadh. The Umananda temple in Guwahati, plays host to thousands of Shiva devotees during Mahashivratri. This temple is located on Peacock Island in the middle of the Brahmaputra river in Guwahati and is visited by people in the North East and other tourists from different parts of the country during this period. The tradition of fasting, worshipping the linga and a ritual bath are practised here too. By air: The Guwahati International Airport services all of North East India. It is well connected to several major cities across the country. Helicopter services from Shillong, Tura, Naharlagun and Tawang to and from Guwahati are provided by Pawan Hans, a helicopter service provider. By train: Guwahati is well connected to several cities across the country by rail. By bus: This city is very well connected with nearby cities and states through good bus services.